We at PathWays PA hope that everyone is having a nice Memorial Day! Please remember to thank those who have and who are serving our country. PathWays PA is proud to announce the Philadelphia release of the Self-Sufficiency Standard for Pennsylvania 2010-2011! The Standard measures how much income a family of a certain composition in a given place must earn to meet their basic needs without public or private assistance. The Standard is based on the cost of each basic need in each county—food, housing, health care, child care, transportation and taxes— determined independently using official and publicly available data. Looking for Resources for Your Clients, Your Friends, or Yourself? PathWays PA has begun a new blog designed to share our resources online! As a nonprofit organization that serves more than 6,000 women, children, and families in the Greater Philadelphia area each year, PathWays PA has developed a number of resources to help us meet our mission: "To help women, teens, children and families achieve economic independence and family well-being." 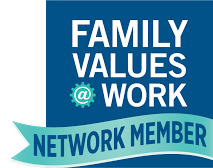 Throughout the past thirteen months or so, you have been able to access some of these resources through our website, this blog, and our sister blog, The Coalition for Healthy Families and Workplaces. Now, you can access even more resources on our newest blog, PathWays PA Resource Library. "How much does it cost to make ends meet in Monroe County? Family of four needs $55,000"
How much does it truly cost to make ends meet in the Poconos? For a family of four — two parents with one child in day care and another school-age — the answer in Monroe County is nearly $55,000. In Pike, the same family needs close to $59,000. Those numbers come from a study released last week that calculates the "Self-Sufficiency Standard" for each of Pennsylvania's counties. Women’s poverty in the United States is rising. According to the U.S. Census Bureau, the percentage of women living in poverty in 2008 was at its highest level in 10 years. Congress is set to reauthorize the Temporary Assistance for Needy Families (TANF) program this year. TANF, the 1996 “welfare reform” law, made low income “work first” its priority and severely restricted women’s access to a postsecondary education, making it virtually impossible for a TANF recipient to earn a four year college degree. Last night the U.S. House Committee on Rules set the stage for a vote today on H.R. 4213 -the American Jobs and Closing Tax Loopholes Act of 2010. Despite some modifications to the bill, the extended enhanced Medicaid match rate (FMAP) remains in the bill. The extension includes $24.1 billion for 6 months, of which Pennsylvania will receive $848 million. H.R. 4213 also includes crucial extension of the provisions in the American Recovery and Reinvestment Act (ARRA) related to unemployment, COBRA, a temporary extension of the Emergency Temporary Assistance for Needy Families (TANF) fund, as well as other provisions. This enhanced FMAP is central to PA balancing its 2010-2011 budget without deep cuts to education, health and human services and the job losses that inevitably would follow. 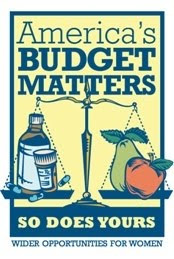 Our friends at Wider Opportunities for Womenare hosting a "Budget Matters" Blogging Day today. They challenged people to blog about two questions: "What can President Obama and Congress do to help Americans be economically secure while balancing the budget? And what do President Obama and Congress need to know about your budget – or that of those you represent?" You can go to their site and blog your own answers to these questions, and see what other people have to say. Right now, President Obama and Congress are deciding how to balance America’s budget. When making decisions about the budget, our nation’s leaders need to hear about what matters when it comes to the budgets of all Americans – young and old. With the current recession, we know that more and more individuals are facing an incredibly tight budget – one where some are forced to decided between such essentials as medicine or food. Over the years of debating the state budget, Pennsylvania has seen many important programs on the chopping block. Some of these programs assist with adult literacy and education, job training, child care, health care, or other work supports. It is important to know just how expensive it is for working families to make ends meet and how much work supports and education can mean to a family when the budget is being debated. In light of this need for data, PathWays PA is proud to announce the release of the Self-Sufficiency Standard for Pennsylvania 2010-2011, which shows the cost of making ends meet in every county in Pennsylvania. With this report, we can now see just how much Pennsylvania families need to earn and why so many working adults and families are struggling. "Study: 33% of Households Here Struggle to Survive; A Family Needs $55,000"
A couple raising two young children in Lancaster County needs to earn at least $54,821 a year to survive, nearly three times the income the government says it takes to escape poverty, a new study shows. The findings paint a dire picture for families whose wages have remained stagnant over the last several years as the cost of everything from groceries to child care to doctor bills has steadily risen, advocates say. A few years ago Evette Braswell was in a tough situation. Young, scared and with a family to care for, Evette was on the brink of losing everything. How would she take care of herself? Her children? Without skills or education, she was unable to find good work that would give her family any sense of security. Desperate for help and with nowhere to turn, Evette’s caseworker referred her to PathWays PA’s Supervised Independent Living Program (SIL). Once at PathWays PA, Evette found the security she was looking for, as well as the tools to help her provide for herself and her family, and to Evette nothing could have been more important. Join us to learn more about the Self-Sufficiency Standard from the President and CEO of PathWays PA, Carol Goertzel, and the author of the Standard, Dr. Diana Pearce. Please register for this event today! Need caring and motivated individual to provide support and supervision for Delco group home serving women and children; HS/GED, Associates Degree and experience preferred; driver’s license required. Includes nights and weekends. Fax resumes to: LD/CFF 610-328-2807. Child Learning Center at Delco Group home. Must have knowledge of early childhood development & ability to nurture and promote positive growth in pre school age children. AA in Early Childhood Ed. preferred. Fax resume to LD/CFF 610-328-2807. On May 14th, the Delaware County Healthcare Partnership, which is facilitated by PathWays PA, held a recognition breakfast to highlight the workers, educators, and employers who have made such a difference to our Industry Partnership. The Delaware County Healthcare Partnership is one of 70+ Industry Partnerships in Pennsylvania that bring together employers, workers, educators, and nonprofits to provide classes and training for high priority occupations in the state. This video highlights some of the successes from the past year. Group Releases 2010-2011 Self-Sufficiency StandardThursday Morning Coffee: The Lightning Round.Where else have you seen it? Please tell us in the comments! A family of two adults, one preschooler, and one schoolage child in Delaware County needs to earn $67,238 to make ends meet, which equals 305% of the Federal Poverty Level. In light of this need for data, PathWays PA is proud to announce the release of the Self-Sufficiency Standard for Pennsylvania 2010-2011, which shows the cost of making ends meet in every county in Pennsylvania. With this report, we can now see just how much Pennsylvania families need to earn and why so many working adults and families are struggling. Please join us in Harrisburg to learn more about this important publication. PathWays PA is proud to announce the release of the Self-Sufficiency Standard for Pennsylvania 2010-2011! WHO: Sandi Vito, Secretary of the Department of Labor and Industry, and more! The Standard measures how much income a family of a certain composition in a given place must earn to meet their basic needs without public or private assistance. The Standard is based on the cost of each basic need in each county-food, housing, health care, child care, transportation and taxes- determined independently using official and publicly available data. Please join us in Harrisburg to learn more about this important publication. Call Kate Scully at 610-543-5022 x 255 to let us know if you can attend, and please bring your colleagues. Copies of the report will be available. The PA Department of Health is offering Free Shingles Vaccinations at the Delaware County State Health Center for people over the age of 60. Shingles is caused by the Varicella Zoster virus, the same virus that causes chickenpox. Shingles includes a painful skin rash, often with blisters. Other symptoms include headache, fever, chills and upset stomach. Shingles is more common in people 50 years of age and older and occurs in at least one million people a year in the United States. It is also more common in people whose immune systems are weakened because of a disease such as cancer, or drugs such as steroids or chemotherapy. 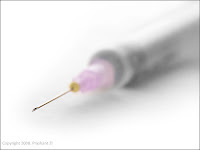 A single dose of the shingles vaccine is recommended for adults 60 years of age and older. If you have questions about the vaccine or would like to schedule an appointment, please call 610-447-3250. On Tuesday, May 18, 2010, at 4:00 PM, reporters will have the opportunity to call a dedicated phone line to interview leaders from PathWays PA and the report’s author. Contact Marianne Bellesorte, Director of Policy, 610-543-5022 x209 or mbellesorte@pathwayspa.org if you wish to participate in the virtual press conference. You must register to get the press conference phone number. HARRISBURG – From food to transportation, it costs Pennsylvania’s working families more to adequately meet the rising costs of living, according to the latest edition of the Self-Sufficiency Standard for Pennsylvania 2010-2011. WHEN: Thursday May 20, 2010, 10:00 a.m.
AmeriCorps*VISTA members at PathWays PA, a non-profit organization that assists low-income families and individuals to gain self-sufficiency in the greater Philadelphia area, joined the fourth nationwide celebration of AmeriCorps Week, May 8-15, spotlighting the vital work done by AmeriCorps members in communities across the country since the national service program began sixteen years ago. Since its inception in 1994, nearly 650,000 men and women have joined AmeriCorps, and they have committed more than 700 million hours to addressing real problems in communities -- from soaring dropout rates to unemployment and finding affordable housing.